Klebsiella pneumoniae, the name itself suggests that this strain of Klebsiella species causes pneumonia in humans, and the disease is called Klebsiella pneumonia. Besides lungs, infections in the urinary tract and intra-abdominal parts are also reported. In fact, it is the second most common malignant pathogens, along with E. coli UTI causes. Usually affects people with low immune systems such as hospital patients, diabetics and people with chronic lung diseases. Also, the people who indulge in excessive alcohol consumption more susceptible to K. pneumoniae infection than others. To be more precise, is Klebsiella pneumonia, either hospital-acquired or community acquired. Although it is difficult for K. pneumoniae strain infecting lungs of healthy individuals to produce, it is a very lethal pneumonia in patients who have been admitted to the hospital, usually after two days of hospitalization. In fact, these hospital-acquired pneumonia tends to be very serious. There is a severe, rapid-onset disease, with the production of bloody sputum (hemoptysis), cell death and the destruction of the lung are associated. A notable symptom of Klebsiella pneumonia is cough with sputum secretion. The patient may also chills, chest pain, high fever, respiratory distress and flu-like symptoms. In severe cases it can lead to lung destruction and the formation of lung abscesses (pockets of pus). Pus may also be present in tissue surrounding the lungs (a condition known as empyema) can lead to the formation of scar tissue. 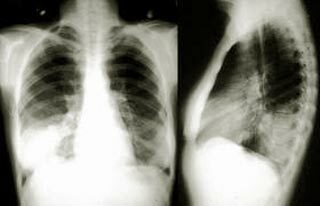 According to statistics, the mortality rate of Klebsiella pneumonia more than ordinary pneumonia. This is because the underlying disease in affected patients.